Minnesota’s Rochester is consistently rated as one of the best cities to live in the United States. It’s also a warm, welcoming place to visit and the Upper Midwest’s premier destination for meetings and conventions. Home to the world-renowned Mayo Clinic, Rochester, MN is distinguished by its culture of caring, spirit of innovation, and warm hospitality. With a stylish, easily-accessible new convention and event center, a vibrant downtown, a boom in new hotels, and two airports serving the city, Rochester is on the rise as a meetings destination. Read on to discover "5 Things To Know About Rochester, MN," and what makes our city the ideal site for your next successful, memorable event! Rochester’s revitalized downtown is a top attraction for meetings and convention attendees. More than 2,000 downtown hotel rooms, as well as dozens of dynamic dining and nightlife options, are connected to each other and to the convention and event center (the Mayo Civic Center) via a system of skyways and underground walkways. 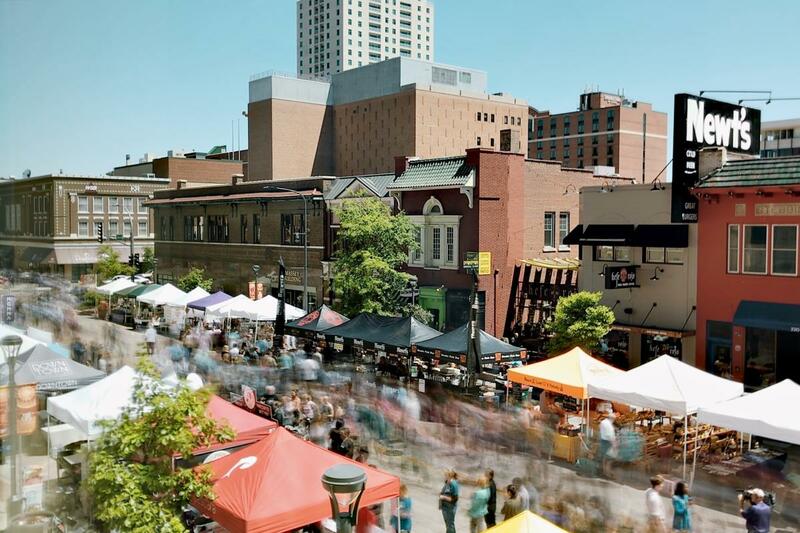 Downtown’s lively Historic Third Street is an especially popular hot spot featuring locally-owned restaurants, bars, and shopping. Before meetings start or after they conclude for the day, downtown Rochester offers a variety of local, non-chain establishments for attendees within easy walking distance of the convention center. For a morning pick-me-up, locally owned Café Steam welcomes attendees to catch up with colleagues over espresso, tea and specialty drinks. Stop in at the Half Barrel Bar and Kitchen for a casual lunch or dinner with attendees and try out their signature whiskey flights. 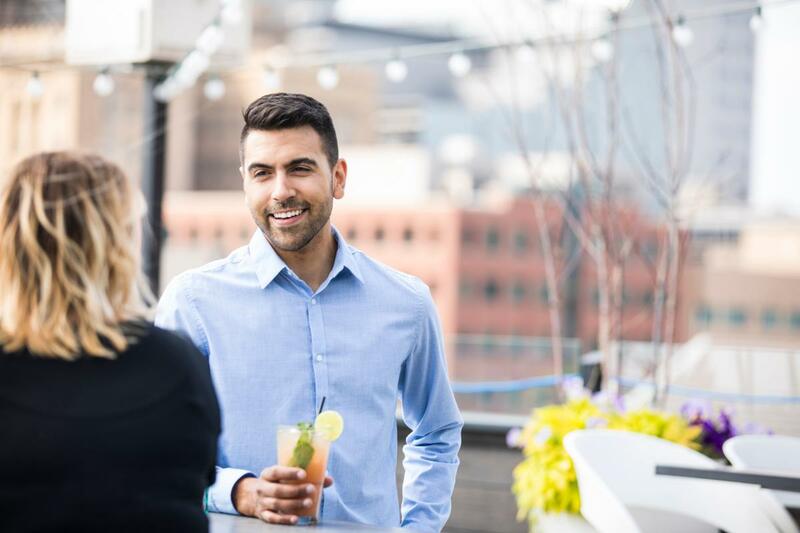 The rooftop bar at La Vetta, with both indoor and outdoor seating, is the perfect place for networking--with a beautiful scenic view--during Happy Hour or later. For those visitors who want to experience the city like a local, many outdoor events are held at downtown’s vibrant Peace Plaza. In summer, the Thursdays on First & 3rd Summer Market and Music Festival features local arts, crafts, foods and live entertainment. Each February, visitors can celebrate winter at SocialICE, an outdoor ice-bar festival. While the temperatures may be low, the fun heats up as attendees enjoy ice sculptures and live music while sipping signature cocktails ordered from themed ice-bars. In need of an afternoon outing for your group? A wonderful way to see the sights and experience the rich history of Rochester and the surrounding area is to take a trolley tour with the Rochester Trolley & Tour Company. Hop on a well-maintained trolley named after famous figures in the city’s history and enjoy listening to a knowledgeable tour guide tell Rochester’s most interesting stories. Tour options include the Rochester City & Mayo Historical Trolley Tour, the Rochester Microbrewery Trolley Tour, the Bluff Country Wine Trail Trolley Tour, the Scenic Mississippi River Tour, and more. Trolley service is also available for sightseeing throughout the city with hop-on, hop-off service, and private event service is also available for groups. 4. Getting to Rochester & Getting Around Rochester: It’s Easy! * The Rochester International Airport (RST) provides direct flights to Atlanta, Minneapolis, and Chicago, and connecting flights to more than 640 destinations. * The Minneapolis-St. Paul International Airport (MSP), located 90 miles from Rochester, is another quick and easy option for air service. Daily van shuttle service is available from MSP to Rochester, with shuttle drop-off at a number of Rochester hotels and other locations. Approximate driving times to Rochester are: 80 minutes from Minneapolis/St. Paul, Minnesota; three hours from Des Moines, Iowa, and five and a half hours from Chicago, Illinois. No matter the weather outside, it’s easy to get around downtown Rochester once you’re here thanks to climate-controlled skyways and underground walkways connecting hotels, restaurants, local shops and the convention center. Your attendees can easily walk around downtown safely, securely, and comfortably, regardless of the outside temperatures. With the recent completion of an $84 million expansion of the convention and event center (the Mayo Civic Center), Rochester MN has quickly become a popular destination for leisure and sporting groups, religious meetings, educational conferences, and medical conventions. With more than 200,000 square feet of flexible meeting, exhibit and event space, this newly modernized center can meet the most sophisticated production, audiovisual, and wireless service needs of clients. The center also has 23 breakout rooms, a new production kitchen and numerous pre-function areas with views of the Zumbro River and downtown Rochester. The center welcomes groups to take advantage of the new Riverfront Plaza, a new outdoor reception patio. Take a virtual 360 degree tour of Mayo Civic Center now! More than 2,000 of Rochester’s almost 6,000 total hotel rooms are downtown and are connected via the climate-controlled skyway to Mayo Civic Center. This provides meeting attendees easy access to events, and easier logistics for planners to keep programs within easy reach of one another. Medical Conferences. Medical conventions and meetings regularly occur at Mayo Civic Center, with recent groups including the American Spinal Injury Association Annual Scientific Meeting and the International Behavioral and Neural Genetics Society Annual Meeting. One of Rochester’s unique advantages as a destination for medical conventions is that it is the proud site of Mayo Clinic, a global destination for health and wellness and one of the world’s elite research institutions. Mayo Clinic is able to support the city’s large medical meetings by arranging specialized tours of its campus and leading-edge centers, providing subject-matter experts as convention panelists and moderators, and coordinating guest speakers on highly-specialized or general-interest healthcare topics. Dance and Sports. Dance competitions have brought thousands of dancers and their families to Rochester this year. Dance groups and events have included NUVO: Break the Floor Dance Convention and Competition, RADIX Dance Convention and Competition, and Just For Kix Dance Nationals. These three-day dance events took place at Mayo Civic Center, with hundreds of dancers competing and perfecting their dance forms. Large dance events are well-suited to Mayo Civic Center because of the center’s spacious venues and proximity to hotels, with dancers often going back and forth to their rooms several times per day. Rochester’s safety and cleanliness—which are two of the city’s top advantages as identified through Rochester visitor surveys—also appeal to dance event planners. In addition to being a great venue for dance competitions, Mayo Civic Center also regularly hosts major basketball and wrestling tournaments, as well as many other sports events. Education-Focused Events. In recent months, several multiday education-focused events were held at the Mayo Civic Center. Education groups say they appreciate Rochester and the Mayo Civic Center because of the number of breakout rooms at the center for teaching classes and because of the culture of innovation prevalent in the city, including connections to Mayo Clinic and to the city’s Destination Medical Center initiative. The Minnesota Library Association Annual Conference and the 43rd Annual State Conference for Minnesota Law Enforcement Explorers have recently held vibrant, successful multiday events at the Mayo Civic Center. With unmatchable hospitality and elegant, spacious new convention venues, Minnesota’s Rochester equips meeting planners with the tools and venues they need to create unforgettable experiences for convention attendees. Nine out of ten visitors to Rochester say they’d recommend the city as a destination, and it would be our pleasure show you why. Come experience for yourself what the city can offer your group. See you in Minnesota’s Rochester!